as well as RB Float classes for a low-impact, cross-training workout on water. At Right Balance Pilates, we offer several levels of Reformer, Mat and Cardio Pilates classes. To book one of Studio Pilates classes, click the button below! A brand new way of exercising on water! 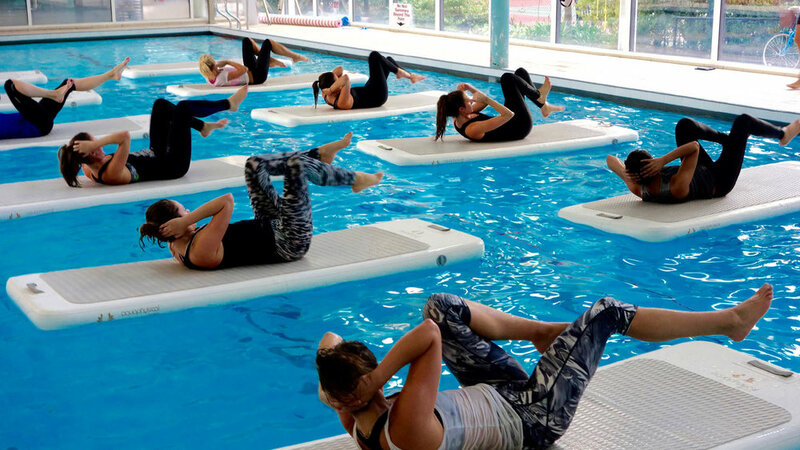 Right Balance Studios has created RB FLOAT, a unique fitness experience that combines a challenging Pilates class with a cardio workout, on water! Our floating boards are as rigid as a surfboard, and are made from a high-resistant, military grade PVC fabric. RB FLOAT is an excellent way to strengthen muscle weakness effectively, gain flexibility, stability and strength, and most importantly - find the RIGHT BALANCE in your body.